Players at WinADay casino have something to marvel about. Allison P. A player at the casino won $205,200 for playing a popular slot at the casino. Chinatown is the slot game that rewarded this woman beautifully. Winning such a huge amount is a big surprise and one needs to use the money smartly and in ways that will be memorable throughout one’s life. What are her plans? She looks forward to spending the money in getting her mother a new car and travelling to Rio for the 2016 Olympics. Chinatown is known for its frequent payouts but Allison’s stands out as one of the larger wins ever paid out. Allison said that she loves playing Chinatown but she still has many other games that she enjoys. During the holidays she played Castle Siege most of the time. She had been a player with WinADay since 2012. To fellow players she advices them to switch games in the event where they feel unlucky on the game they play. As a player you should go for the game that suits your current mood and luck. When things don’t work out for you at the time, take a break and play some other time. 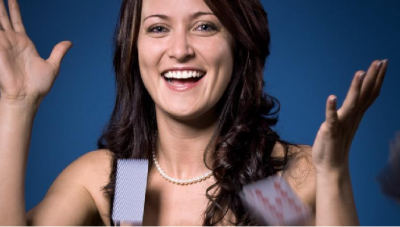 A myriad of WinADay instant play casino games are coupled to one progressive jackpot. This is something unique in the world of online gambling. The jackpot is hit often which has made the jackpot money not go over $150,000. The prize money has only gone over $200,000 3 times. The highest win from Chinatown slot was of Vera M. Who won $255,462. The manager to WinADay casino said that there has been a good trend since more and more people are playing making the jackpot get bigger and bigger with time. Chaintown slot is found at WinADay casino and was introduced into the casino in October 2011. It has 5 reels and 21 pay-lines. The game features a beautiful Chinese theme on the spirit of the orient. Symbols on the slot include Buddha, ying and yang, rice, fireworks, porcelain, Chinese dragons, lanterns and Chinese sables. There are also scatter symbols, free spin rounds and expanding wilds. The scatter symbol is represented by the lantern, you need to get 3, 4 or 5 of them on the reels to make wins of 5, 10 and 15 free spins respectively. For the best results in the game, redeem the welcome bonus offered by WinADay Casino for value on your money. WinADay Casino was established in 2007. They pride in having fair and safe platforms for their players. WinADay Casino is sister to Slotland Casino. Both Casinos are owned and operated by Slotland Entertainment Group. They have the player in mind and this is fuelled by their philosophy which is to make sure that they offer the most invigorating slot machine games that are hard to find elsewhere. The casino runs on proprietary software which guarantees one of a kind gaming experience that will have you entertained every time you play.